Liverpool are set to host West Ham United in the Premier league game on Saturday, 24 February 2018 at Anfield. 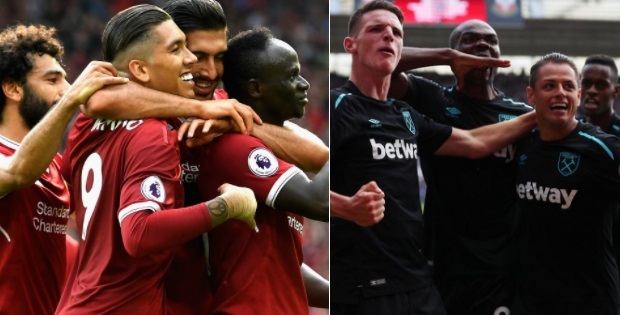 This game holds significant importance for Jurgen Klopp’s men who can go second in the table for atleast another day with a win while West Ham need points to keep away from relegation zone. The game will be a traditional 3pm kickoff and there won’t be any live coverage in the UK. However we will have match highlights after the game is over. Liverpool vs West Ham Preview & Lineups: Liverpool are in absolute top form at the moment and after their 5-0 win over FC Porto they have had a nice rest going into Saturday’s clash against West Ham United. There is a big incentive for Liverpool to take all three points which will allow them to overtake second place United for atleast another day and make their position in the top four much more secure going into the business end of the season. West Ham on the other hand has kind of turned things around under new manager David Moyes and they sit 12th in the table with 30 points but they are far from being safe in the relegation battle. Just 3 points ahead of 18th place Huddersfield Town, West Ham must keep getting points to stay clear of the relegation zone. 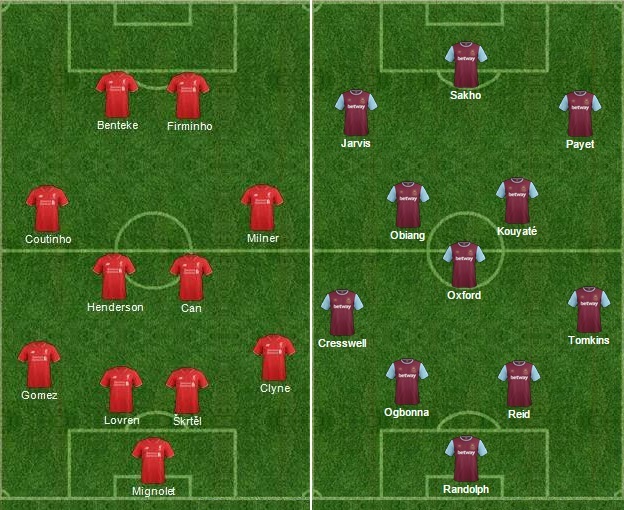 This is how I expect both teams to lineup on saturday. The confirm lineup will be available 2 hours before the kickoff. Match Predictions: At home Liverpool are unbeaten so far in the league but they did drew as many as 6 games at Anfield and thats where West Ham will take heart going into the game. As good as Liverpool are going forward there are still questions marks at the back and West Ham can exploit that on Saturday however West ham themselves are not good travelers having won just 2 away games all season so far. I am going with a comfortable Liverpool win in this one.